But If there is no open graph code on my site, the sharing of the first URL will be counted individually. And the sharing will not be counted for your home page. Now I guess, you've understood the importance of open graph. It's really helpful to increase facebook likes of your site rapidly. You have to place the above code in the head (<head> </head>) section of your site's HTML. The code must be placed before closing head tag - </head>. 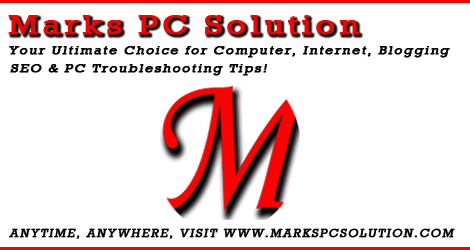 Site Title Example - Marks PC Solution. Site Description - What's your site about. Example - Your Ultimate Choice for Computer, Internet, Blogging, SEO & PC Troubleshooting Tips! Content Type - Website/ Blog/ Article/ News etc. Custom Image - Upload your desired image in a server. Then simply copy and paste the link here. You can use postimage.org to upload image. Type your Site Title here. Example - Marks PC Solution. 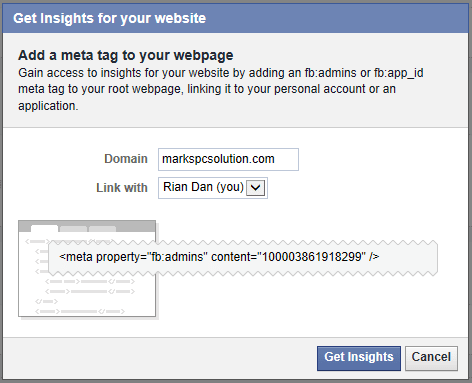 Numeric FB ID that you've got from the 2nd step in Facebook Insights Page. You can also find numeric by this method. If you face any problem after implementing the code on your site, you can take help of Debugger. Here you can paste your site URL and debug the errors. You can check whether all properties are functioning normally or if there is a problem. It will do the same job for you. You can also use multiple Admin IDs. Simply add more numeric IDs in the admin property. 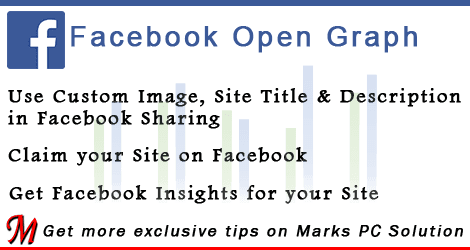 If you need any support regarding Facebook Open Graph, please leave a comment . . .